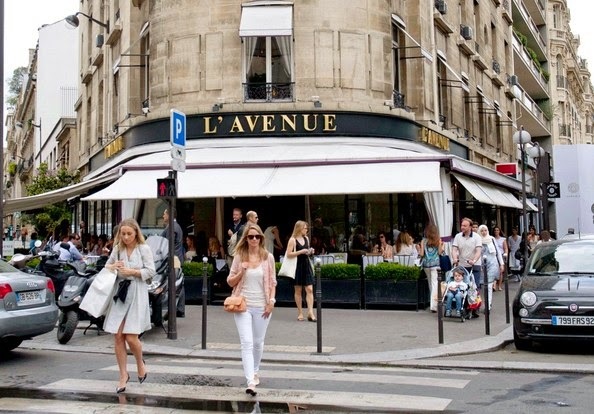 Restaurant L’Avenue on Avenue de Montaigne is at the crossroad of Les Champs Elysée, or just as they call it, “Les Champs”, in Paris. It is also not too far from Rue du Faubourg Saint-Honoré where all the most prestigious luxury fashion houses have “une addresse”. 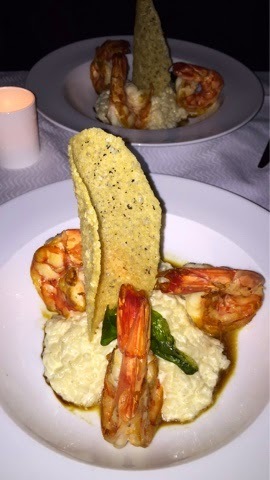 We have restaurant L’Avenue in Beirut, Lebanon, so I was eager to try it in Paris to see how different it is. Well, it wasn’t much different in terms of the atmosphere and the people. Everyone was dressed and groomed very chic and I could spot a couple of Lebanese tables. That day, I woke up at noon because I was still very jet lagged from NYC; I slept in the flight the eve of my first day in Paris. I was so shocked that my unconsciousness was not loud enough to wake me up earlier and have me enjoy the city! Originally, we planned to go to Ferdi, a very reputed restaurant near La Place Vendome. It turned out that it serves lunch only at particular timing of the day so if you ever want to lunch there you should probably make reservations to be on the safe side. L’Avenue is a crowded restaurant during the fashion weeks in Paris so I must say it was a miracle to find a place with no reservations. If you are lucky, you can spot celebrities there. We arrived at L’Avenue at around 3pm and we sat there until 5pm more or less. You could spot me at a table of around 8 girls all dressed up to the nines. I was hanging out with Rana and her friends, (you can check out her blog here btw!). 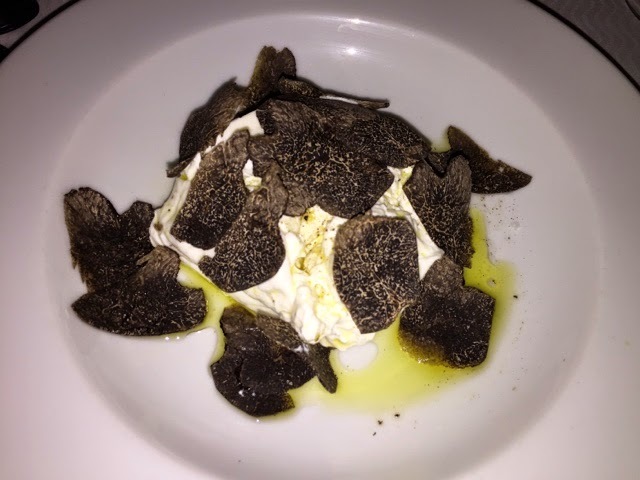 For appetizers, I shared the Burrata Truffle with Rana; the aroma of black truffle was a bit strong for her but I liked it with the soft creamy texture of the cheese. 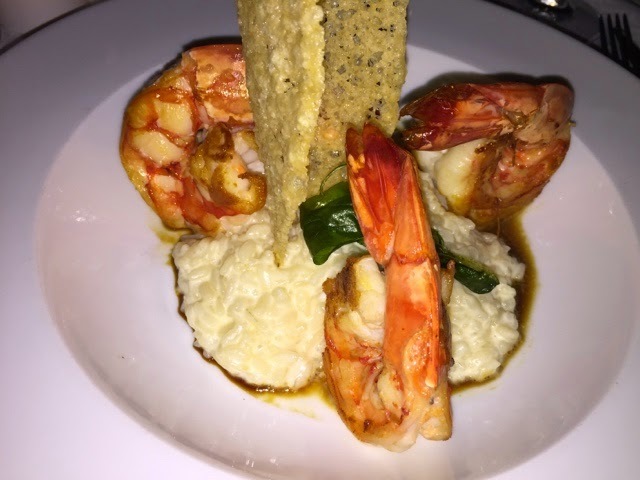 For the main course, I ordered the Risotto aux Gambas and I fell in love with the careful blend of the rice creamy texture and the distinct flavor of the Gambas with the crisp of caramelized chips. The portion size was not french-small, it was just enough for a hungry person considering I had appetizers. 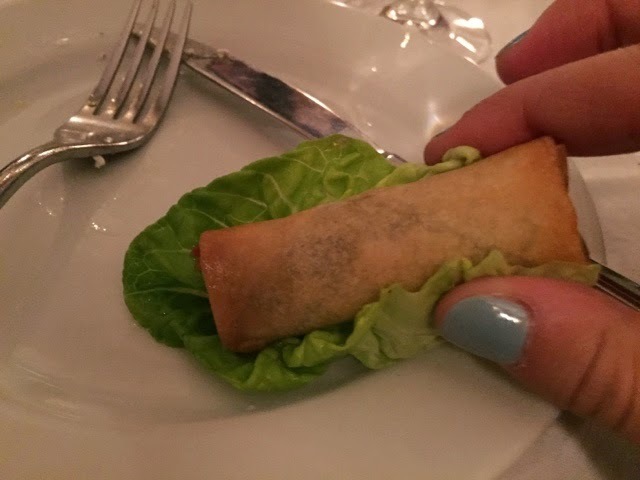 I also tasted the chicken thai spring rolls with a lettuce leaf dipped in its amazing sauce. Apparently, the soupe a la tomate (tomato) or the vegetables soup is really good too. It was a late lunch but we were very hungry, Rana and I had not eaten anything from the time we woke up. The service was fair: the waitress was nice and very welcoming but the service was slow. The food took more than 20 minutes to set on the table and we were all so hungry. I indulged in the perfect French pain et beurre while waiting impatiently. We stayed there from 4 pm until 6pm and I was beginning to get too excited to leave and do some shopping. I was so sad that I could not wake up earlier that day. Overall, the food was delicious and I will definitely come back after that I try out the ones I haven’t been to yet.